Mary Schoen-Clark has over two decades of experience in human service development and delivery which includes the development of affordable housing, community facilities, energy assistance, Head Start, and youth employment programs. Schoen-Clark has received national recognition as a housing expert and was appointed to the Iowa Governor’s 2000 Housing Task force spear-heading the tax credit set aside for the “hard to house” households at or below 40% of Area Median Income, 2001. She then developed Quarton Place and Ann’s Gables show casing this new ‘no debt, service self funded model to serve very low-income households. She was honored with the McAuley Institute’s “Courage in Community” Award in 1997. Under Schoen-Clark’s leadership, in just 12 years, MAHP, a housing development corporation, grew from one employee and an intern with a $40,000 budget, to 43 employees, a $7 million annual budget managing over 500 units of affordable housing. MAHP acting as project developer and construction general also construct over 100 single-family homes for homeownership and provide homeownership education. 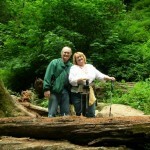 In recent years Schoen-Clark served as Chief Executive Officer of Oregon Coast Community Action (ORCCA). Under her leadership ORCCA experienced significant growth in both programs and facilities. Accomplishments included the $10 million development of a new Child and Family Resource Center and the first ever Regional Food Bank to serve Oregon’s South Coast. 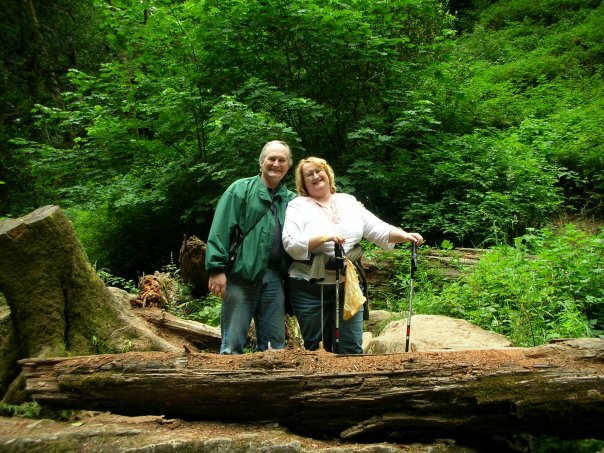 Other community development projects accomplished in her tenure included a Food Distribution Hub in Myrtle Point and a Family Domestic Violence Shelter in North Bend both with solar panels installed to lower the energy expenses of the facilities and preserve resources for operations. Under Schoen-Clark’s leadership ORCCA was able to increase services to clients even as the community and the country felt the effects of the great Wall Street recession expanding it’s resources to serve the community from $4 million to over $9 million annually. In addition, over 20 community jobs were created though ORCCA’s energy & green initiatives, $350,000 in local wages and $1 million in supplies purchased with the installation of solar panels on one of ORCCA’s affordable housing projects, Park West Apartments. Schoen-Clark’s background as an Oregon State University graduate in Child Development and Family Life shines though in her effort to increase services to children and families, including new afterschool and summer program offerings and the Expansion of Head Start by 36 slots, for a 10% increase in children served. She launched the new “I am for the child” campaign for CASA and worked with the County to host a workshop for teens that are aging out of the foster care system. CASA offered new volunteer trainings and served a total of 211 kids. Mary also piloted the states first Share Bear Snack Pack program providing supplemental food to more than 700 children annually. To support the growing need for Homeless families, Home Now, a transitional housing program for homeless families was initiated. ORCCA’s growth was accompanied by recognition of its high standards. Under Mary Schoen-Clark the agency was certified for the first time as a Better Business Bureau Charity and named AmeriCorps “Sponsor of the Year” for the Pacific region. Energy Education AmeriCorps National Civilian Conservation Corp team members developed classes on sustainability and energy education, which they presented at 3 elementary schools in Coos Bay. Highlighting energy education and water conservation, they tutored 302 elementary students through 23 classes. A visit by Oregon’s first Lady Cylvia Hayes and honorable Arnie Roblan to celebrate the completion of ORCCA’s new Child and Family Resource Center honored ORCCA’s progress. This was high praise coming from the leading proponent of Oregon’s Anti-Poverty initiative. Mary Schoen-Clark seems to have housing and development in her blood, as she followed her great-grandmother’s and her grandfather’s footsteps as the head of a housing organization. 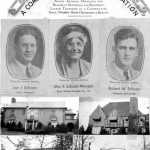 Mrs. E. Schoen Morgan was the President of Schoen-Morgan Co., Inc. in the late 1800’s. 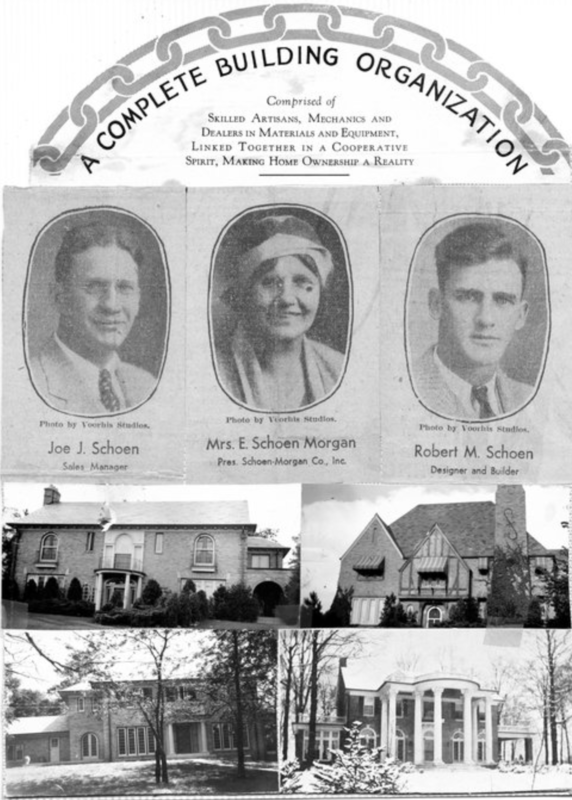 Advertising for the company states that it was “A complete building organization comprised of skilled artisans, mechanics and dealers in materials and equipment linked together in a cooperative spirit, making home ownership a reality.” Schoen Morgan Co., Inc. built homes across the Midwest centered in Indiana. Mary Schoen-Clark has surpassed Great-Grandmother and Grandfather’s company through sheer number of families helped and the scope of her work. Great-Grandmother would be proud.